1. 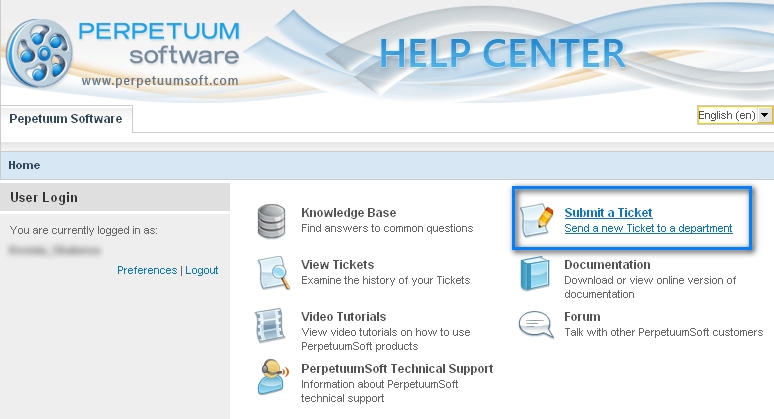 Open Help Center main page. 2. Log in using your login and password from http://www.perpetuumsoft.com. 3. Click "Submit a Ticket" hyperlink on the main page. 4. Choose “Support Department” during the first step and press “Next”. 5. Fill in the fields of a new ticket. 5.1 Fields "Display Name" and "Email Address" are required and are filled with the information from your account on the web site. If necessary, one can change the address. 5.2 "Product", "Product Version" and "OS" fields are not required, but are advisable for better performance of a Support Team. 5.3 While “Subject” field is being filled, the system searches for relevant articles in the Knowledge Base. 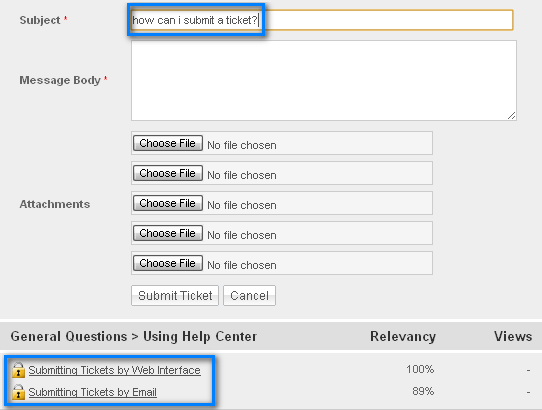 Search results will be displayed under the ticket form. If the required article already exists in the Knowledge Base, one can use the information from it without writing to the Support Team. 5.4. Describe your problem or request in details in “Message Body” field. 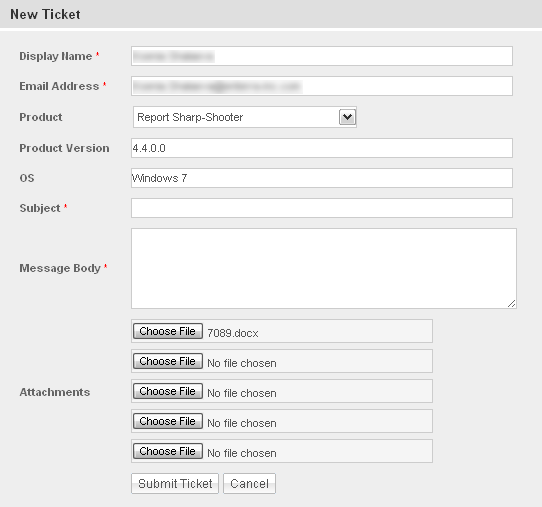 You can also attach required files if necessary – in the “Attachments” section. 6. Press “Submit Ticket”. You will receive a notification containing ticket number and your request will be sent to the Support Team.